The Priest of Kannon-ji, Hushitaka Tanaka, said, "I expected the Korean thanked me, not called me a robber. I have no idea what to day to them." The Priest of the buddhist temple on Tushima island, whose buddhist statue was stolen by the Korean. According to the temple's history, this Buddhist statue was transported to there from Ancient Korea, not the Republic of Korea, between 7th and 14th century. In 14th century, All buddhist statues in Korea at that time were in danger of destruction by the Korean because the Korea dynamically changed their religion to Confucianism from Buddhism. The Japanese who visited to the continent during that time, rescued the statue with their sympathy for it by bringing to Japan. Hushitaka pointed out that many imported buddhist statues from other countries are preserved in Tushima island as a middle point of trades between Japan and the continent. Indeed, according to the Tushima educational board of cultural heritage, some local temples in Tushima island preserve many buddhist statues made in the ancient Korea. Some of the statues, including the one at Kurosekannon-dou, are registered as either local, provincial, or national cultural heritages. 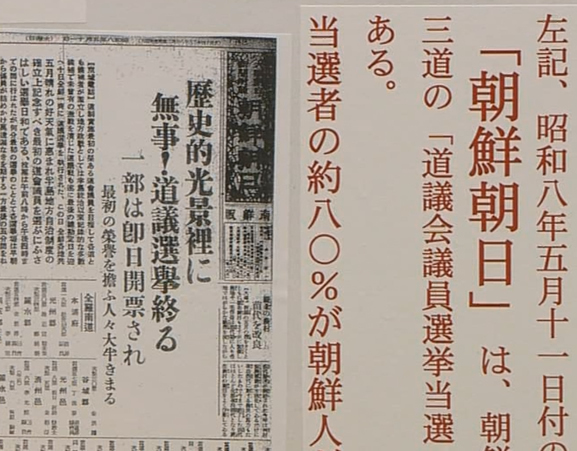 Although the historical data of the buddhist statues is all unclear, the educational board of cultural heritages admits, "It is compromised to think that many statues were brought to Japan to rescue them from the intentional destruction by the Koreans at that time. These Buddhist statues have been respectfully treated well by the pious priests and islanders in villages on the island. Many buddhist statues with burnt parts, Hushitaka added angrily, "were salvaged from the Korean religious oppression. But now it's too rude that the Korean scream that the Japanese robbed them." The Korean connected with the temple in Korea visited 25 years ago, and insisted, "the statue is mine, so bring me back it to me." Tanaka refused his order. Later, the statue was stolen [by the Korean thieves] in October, 2012. The group of thieves were captured in their country in January, 2013. The priest Tanaka expressed with his disappointed face for the news that the Korea judged to refuse returning it, "I fully understand that Korea has such an immoral sense compared to other countries. The people in Korea steal anything they want from Japan without any hesitation, and keep insisting they belong to them. [Their malicious behavior] is exactly as same as the North Korea's abduction of many Japanese." South Korea will no longer return it to Tsushima, if no situation changes at all. Tanaka strongly wish the Japanese government, "I really want to get it back [from the thieves.] The Japanese government is the only hope for me." The chief cabinet secretary,Yoshihide Suga, said at the interview on February 27, "We will request Korea to bring it back to Japan based on the international rule as soon as possible." The picture which is not directly related with the robbery case of the Buddhist statue, but it is a part of proof how the Korean like to lie to people who don't know about the Korean prostitutes during the WWII.